Team RedBackRacing is a collection of unique and talented people who without there commitment skill and enthusiasm would not make it to the start line. For 2016 we have Adam Spence and team principle just about to compete in his 25th Targa type rally. Joining him will be Ross Hynd from the UK who brings with him a large amount of rally experience. Supporting the team are Steve Clark, Wayne Larder and the team of Miles/Julian from RenoTech and Annalouise Brown as ever faithful service crew who will all help steer the team to the best possible performances possible. Apart from those mentioned here, there are many others who contribute and collaborate, assisting to make the journey to the start line as smooth as possible including our sponsors, families and to all of you THANK YOU. A special mention and huge thanks to Ash from Engine 4 and Ari from Oracle Creative who has been inspirational in the car visual designs. 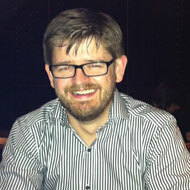 Also Lee Challoner Miles manages all of the teams digital channels. This season team Redback Racing have set themselves the goal of being competitive within the top category of the Australian Targa Championship, Modern. With their new car a Nissan Skyline R35 Supercar we are confident that some solid results will be achieved throughout the season. Here is some info about the team for 2014/15 season! Adam founded Redback Racing in 2010 when he returned from the UK with the desire of entering and competing in Targa Tasmania in a Renault Spider Trophy, a car he fell in love with in Europe. Adam is a true Renault fan and on the second attempt and being blessed with the fortune of running in the only dry Targa on record he finished the event and in the process won the category. Adam then went on to help Targa Racing introduce newcomers to the sport as well as competing in one of their Showroom BMW 130is where on the team’s two finishes he ended up on the podium with a third and second. He has now spent the past two seasons in the Renault Megane RS 265 and with Erin Kelly racked up 3 Victories on the way to winning the 2013/14 Showroom 2wd Championship. For this exciting challenge and adventure Adam and Erin are happy to have Steve Clark, Wayne Larder, Lee Challoner-Miles, Miles Drummond and Julian as well as his ever- supportive girlfriend Annalouise come along for for this exciting journey. "Long may our adventure continue!" Lee has been involved with Redback racing for a number of years, initially working in the service crew. But in 2009 he decided it was time to get back into the car and take up the co-driver’s seat. In his first season he competed in Targa Wrest Point in one of Targa Racing’s MX5s. 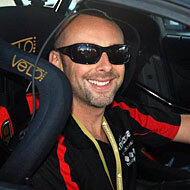 In the following season he was able to compete in Targa Wrest Point and Targa Tasmania finishing the championship third overall with co-driver Adam Dodd. That was a great result considering that they didn’t compete in all the points-scoring events. In 2011 Lee and Adam competed in all three Targa events: High Country, Wrest Point and Tasmania. Lee then competed for two years in redback racing's Renault Megane RS having made the podium in all but one event during his time in the megane. With his greatest achievement being the last round of the Australian Targa Championship 2013/2014 at Targa Tasmania taking out first position. In 2016 Lee navigated for Redbackracing former team driver and team manager Andrew Bollom. Together they successful fulfilled a long term ambition to win Targa Tasmania early modern, taking the win for both category and class in Andrews RX7. Adam and Lee have worked with each other in both Europe and Australia, With Lee now living in Sydney he has been able to manage the team's digital channels.